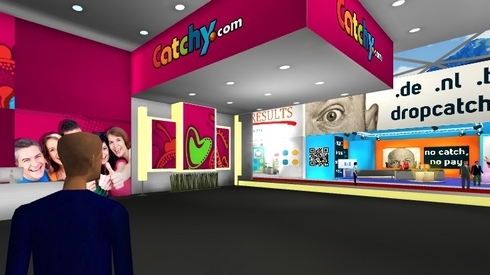 Virtual tradeshow is clunky but presents a good opportunity to chat with domain name companies. I remember going to a virtual tradeshow about a decade ago. It was clunky and hard to use. Apparently that’s the case in 2014 as well. I just attended Webfair Virtual, an online tradeshow featuring a bunch of domain name companies. Nonetheless, it’s worth checking out if you want to chat one-on-one with representatives of domain name companies. Perhaps instead of a graphic-heavy virtual tradeshow, chat forum sessions with various companies would be more valuable. It would certainly be easier. Andrew, from the photo I’d have trouble recognizing you from your choice of avatar 😛 While I agree that the software has some issues, reportedly with Apple computers on Safari etc. the experience was fine on a PC with Windows and Chrome/Firefox.